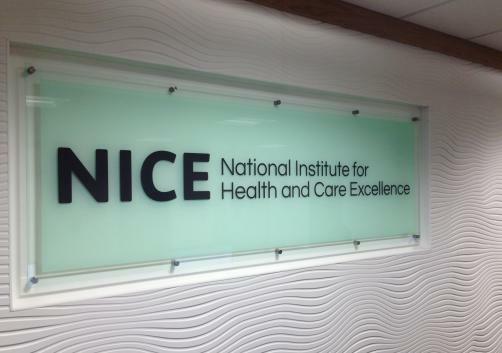 NICE has published a positive Final Appraisal Determination FAD recommending dupilumab, in combination with topical corticosteroids, for use on the NHS in England for the treatment of moderate to severe atopic dermatitis in adults when they have not responded to at least one other systemic therapy, such as immunosuppressants. Atopic dermatitis (also known as atopic eczema) is the most common form of eczema in the UK and approximately 1.5 million (3%) adults have atopic dermatitis. "Atopic dermatitis is a long-term, inflammatory disease that can be a debilitating condition that not only adversely affects the skin, but can have a detrimental effect on a patient's mental wellbeing and quality of life," said Professor Graham Ogg, Professor of Dermatology at the University of Oxford and Consultant Dermatologist at Oxford University Hospitals NHS Trust. "NICE's recommendation for dupilumab represents a much needed step change in the management of moderate to severe atopic dermatitis and offers an important new treatment for those living with the disease." Within the general UK population, it is estimated that there are 14 adults per 100,000 with moderate atopic dermatitis and 6 adults per 100,000 with severe atopic dermatitis who may be eligible for treatment with dupilumab. "This decision is a great step forward for patients with moderate to severe atopic dermatitis, who will now be one step closer to accessing dupilumab through the NHS in England," said Andrew Proctor, Chief Executive at the National Eczema Society (NES). "Dupilumab represents a new way of treating atopic dermatitis and we are delighted that NICE has recognised the huge challenges that some patients face in successfully managing their condition. The decision gives real hope to people who desperately need more effective treatment." The recommendation in the FAD is expected to form the basis for NICE's final Technology Appraisal Guidance (TAG) on the use of dupilumab, anticipated on 1 August 2018. Peter Kuiper, General Manager UK & Ireland at Sanofi Genzyme, added: "Throughout the development of dupilumab we have […] witnessed the profound impact that atopic dermatitis can have on individuals and their families. Seeing first-hand the difference that dupilumab can make to patients' lives has given us the drive and determination to ensure it becomes available to those who need it as quickly as possible."